Despite the latest frightening news about soaring Canadian house prices, there are good reasons for millennials to pursue home ownership. For many, the hardest question is whether it remains possible at all. But for some under-35s, the issue is whether the financial risks of home ownership outweigh the benefits. As Jacqueline Hansen reported yesterday based on data from the Bank of Montreal, more than half of Canadian millennials already own their own piece of real estate. Not only that, but of the 49 per cent who don't own already, a large majority of them — a whopping 64 per cent — are saving with the intent of buying. So despite a report from RBC just before Christmas that Canadian home ownership is less affordable than it has been in eight years, under-35s are still in the market. Are they crazy? To find out I asked one. As well as being a CBC business reporter, Hansen is a millennial who recently bought a condo in Toronto's pricey market. "Buying was the only way I could find a place that I was proud of, that I could feel good coming home to," Hansen says. Like many other young people, the CBC reporter didn't jump into it. Just like the people she interviewed for her own report, when she moved to Toronto she lived in what she describes as small and unpleasant rental bachelor apartments while taking a series of short-term contract jobs. Getting a mortgage when you're engaged in contract work is much more difficult. The finance minister says people must learn to live with "job churn," but it appears many mortgage lenders did not get the memo. It was only after settling into a full-time job that Hansen took the plunge. Temporary or part-time work makes it hard to know whether you'll stay or move someplace with better opportunities. "Now that I own a place, I feel that I have roots here," Hansen says. A dissatisfaction with rented accommodation is more than just a millennial affectation, according to real estate specialist Tsur Somerville, it's part of the Canadian market reality. Relative to other parts of the world — an exception being the city of Montreal — a high level of home ownership is "the cultural norm" in Canada, says Somerville, professor at the Sauder School of Business at the University of British Columbia. "Because we are a relatively high home-ownership society, if you want to remain a renter, your choices end up being somewhat limited," says Somerville. Our cultural preference for ownership means most of the nicest homes and the nicest neighbourhoods are places where people own, not rent. Unlike places such as South Korea or parts of Europe where it's assumed people will stay in a single rented flat for decades, in Canada it's much harder to find a place where renters can be confident they will be able to stay and settle into a neighbourhood. Hansen is confident that if she could rent a place as nice as her current home, it would cost more than paying for her condo. She bought about a year ago and every time prices rise the deal gets better. Somerville says the real estate boom we've seen in Toronto adds an extra challenge for young buyers. As prices shoot higher, buyers must decide whether to move quickly while they can afford it. Alternatively, they must worry about what will happen if interest rates suddenly rise or prices tumble. Average home prices are roughly twice the price relative to incomes as they were in 1984. But mortgage rates then were double digit. The secret then as it is now is not to get in over your head. Scraping together a down payment wasn't easy a generation ago either. And while Toronto and Vancouver single-family homes may be outside the reach of first-time buyers, the price of condos makes entering the property market, with the idea of moving up in future, as attainable as it has ever been. 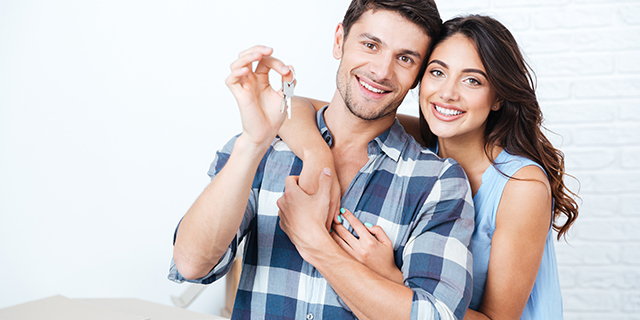 Just as it was for their parents, home ownership for millennials is a mark of success. It's a sign that you've got a steady income, that you are ready to settle in for a while and put down roots, that you've put student debts and parental influence behind you. From a strictly financial point of view, Somerville's research shows that buying a home is no guarantee you will be better off. "In the long run, over most markets, you can do as well renting as you can owning," he says. "If you are a disciplined saver, you don't come out any better." That caveat about "disciplined" makes a big difference. For many people, getting a mortgage and paying it down serves as a big forced-savings plan. "Like for people like myself," says Somerville. "If I was renting I would never have saved as much as I have through home equity, because I'm not that disciplined."